What virtues does Drabinski find in the Dead community? 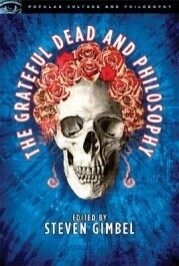 How is the Deadhead scene a space of hope opposed to the excesses of modernity? What rituals does he find in the Deadhead community? What is an occasional community? What are the characteristics of (post)modern life? What does Marcuse mean when he says that Western culture is “one-dimensional”? What “new ethic” do we need to “revive a sense of community, to reconnect across competitive alienation” (32)? What does ethics (as ethos) mean here? Is the personal and familiar nature of the lot false intimacy? What is the “ethos of compassion” (35)? Do you think the ethos Drabinski identifies in the Dead scene applies to the Phish community as well? Why or why not?